I don’t often take pictures of the back of people, but some how I thought in the particular moment it fit. Got a sharp point of interest, a nice bit of rim light from the light pointing our way and a row bokeh balls to finish off the frame. Not bad ;). 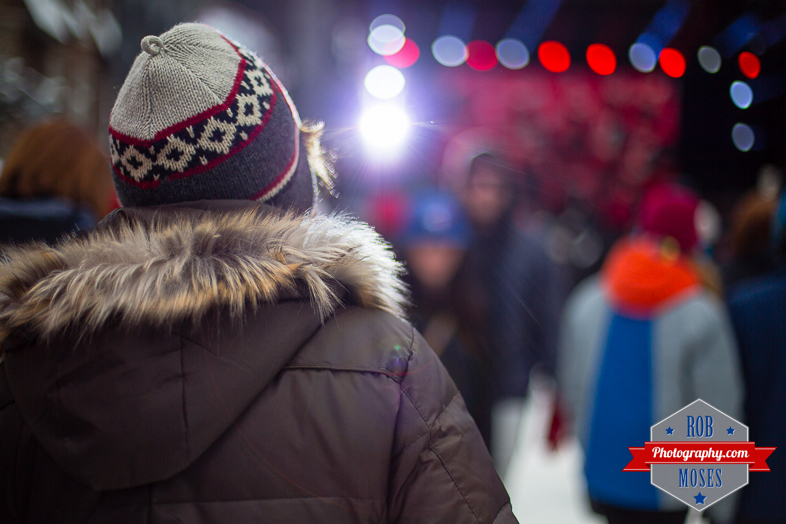 This entry was posted in People, Street Photography and tagged 50mm, 5D mark iii, 5D3, 5Diii, Alberta, ball, balls, Banff, blur, Bokeh, Canada, canadian, Canon, City Life, flare, fur, girl, hat, jacket, light, metro, photo, Photography, pretty, prime, rim, street, toque, Urban, winter, woman. Bookmark the permalink. I really like this, for me photos create memories and tell stories. I think this tells a story beautifully. I like that it’s different. It is an interesting point of view in this case as their appears to be so much to see – we’re immediately put into this persons shoes. Nice shot, Rob. Oh yes, and the bokehlicious backgrounds are always good! Thanks Mike! I see you too are a DigitalRev TV Fan ;). For some reason, I tend to like the back of people, or the side…I think it’s something about capturing vulnerability and the unknowing…yeah, I’m weird it’s probably official! Great shot. Vivian Maier took lots of shots of people from the back. The results are very, very interesting. Well thank you Dan. The more I look at this one the more I appreciate it :).